MyCleaningProducts.com introduced a new cleaning solution - Silverfish Bully. With it, the company aims to help homeowners resolve their silverfish problems without risking their health and the environment. The company used unique and natural ingredients in its formulation of Silverfish Bully. There are various kinds of pests that can invade a house. Among those pests is the silverfish. To help control the infestation of such small and destructive insect, MyCleaningProducts.com introduced a new non-toxic cleaning solution. And as it joins the Mother's Day celebration, the company is also giving out 17% discount. 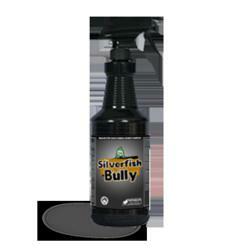 The said new solution in the company's line of products is called Silverfish Bully. As the label states, the product is made specifically to control the number of Silverfish in homes, offices and other infested places. Learn More About Silverfish Bully. Small, wingless and nocturnal, silverfish is with a shape like that of a fish. When newly born, they are of whitish color but turns silver or greyish in adulthood. As insects, silverfish consumes things with starches and dextrin. Hence, as pests, they can cause damages to books, wallpapers, fabrics, photographs and other paper products. Because of that they must be eliminated, said a rep from MyCleaningProducts. Although insecticide sprays can get rid of the silverfish, mostly they are with toxic content, added the representative. And so, MCP developed a solution that can effectively eliminate silverfish without adding more pollutants to the environment and risking the health of the consumers. The company used unique and natural ingredients in its formulation of Silverfish Bully. The ingredients used were from the remote areas in Peru. And to give back to the country, MyCleaningProducts.com is donating to the “Salud & Musica” Foundation. The aid is for the building of a school for unfortunate children. Once available only to big pest-control companies, Silverfish Bully is now accessible to the public. It is now a licensed product ready to serve anybody who suffers from silverfish infestation. Apart from Silverfish Bully, MCP also offers many other non-toxic home cleaning products. Examples of its other eco-friendly cleaners are Bed Bug Bully, Rusterizer and Molderizer. And as it was earlier said, the company is joining the Mother's Day celebration. Until Sunday, it is giving out 17% discount in all of its offered products. To take advantage of the price cut, consumers just have to enter the promo code “MOMMA” at checkout. Take Advantage of the Price Cut. Order You Non-Toxic Cleaners Today!